The home team had themselves to blame for squandering their lead, as the visitors cashed in on a goal of their own, dribbling the ball past the Nikao Sokattack defenders and placed a beautifully timed kick that beat everyone to the net in the dying minutes of the first half to tie the match. It was an evenly matched contest in the true sense as both teams were going after each other, neither one willing to give the other any ground. That’s not to say the teams didn’t have their chances. It was interesting to see both teams fighting with a tenacity that never let up. Takuvaine looked to capitalise on a slower, controlled, possession based approach as they took on one of the most formidable sides in the Rarotonga football league. Nikao Sokattack was the first on the board and had everyone cheering but the celebration was short lived as Takuvaine found a path and made dash for the towards the keeper and calmly struck the ball as it rolled into the goal. The second half provided equal intensity throughout. Nikao Sokattack started the second half brightly and had a chance to finish the game but could not find the back of the net. It was neck and neck right down to the final whistle. Both teams played aggressively and more drama came about as the defensive unit for either side were out to put a stop to any attack at goal and with that the offense were ultimately unable to find the back of the net once again. In the other premier men’s match between Tupapa Maraerenga and Matavera. Tupapa Maraerenga managed to claw their way back to draw level with a spirited Matavera team who were hungry for a win but were not able to hang on to the lead with the final score ending in a 2-2 draw. 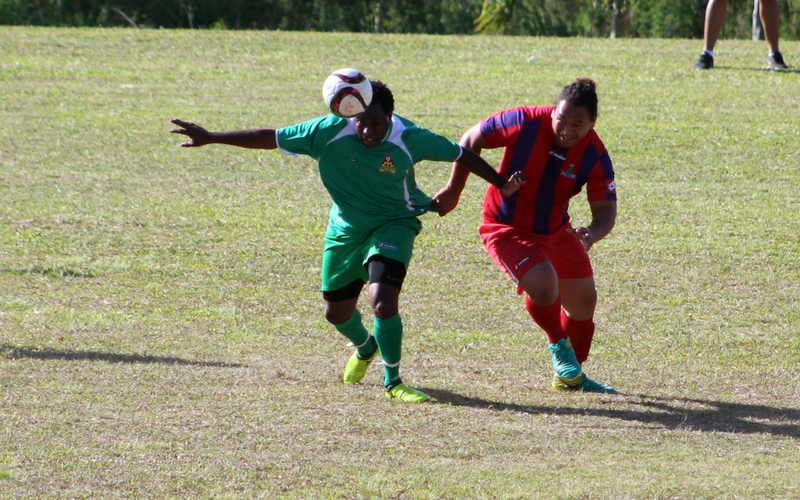 Defending champions Puaikura beat Avatiu comfortably 3-0 on Saturday.